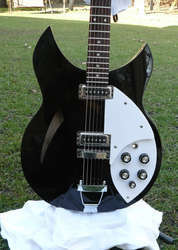 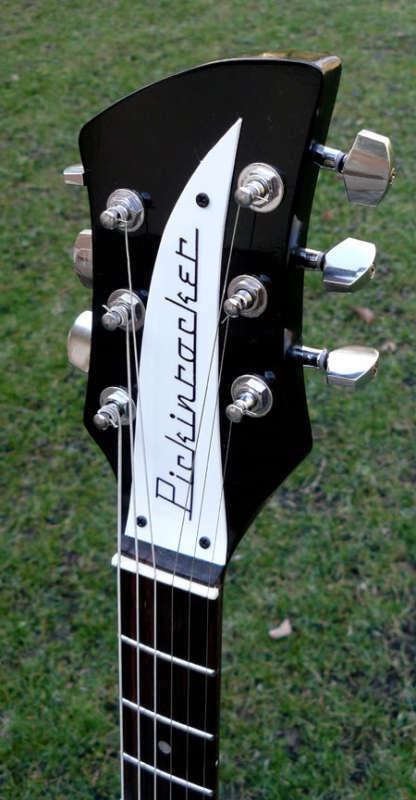 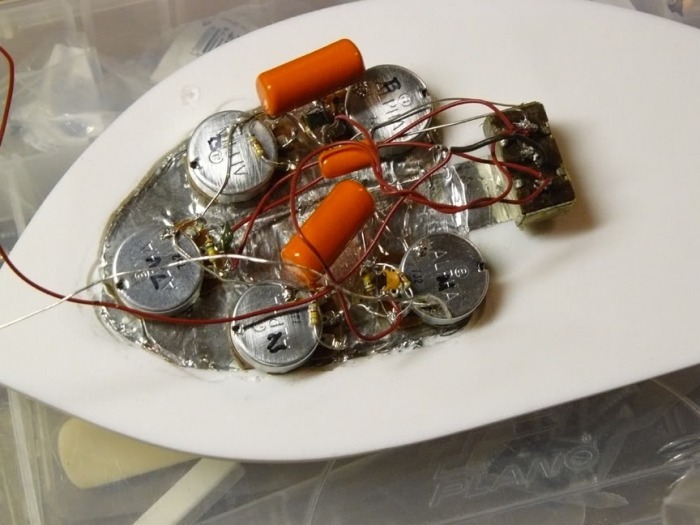 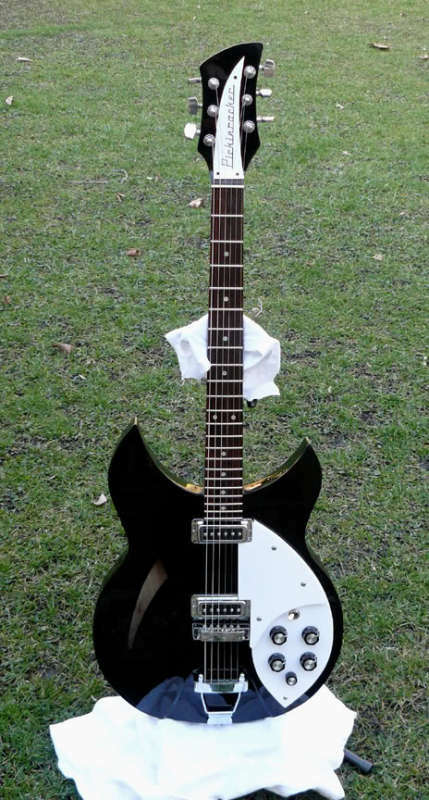 This is a Rickenbacker 365 modified design that I took on. 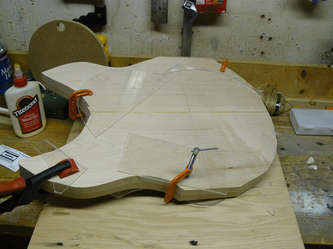 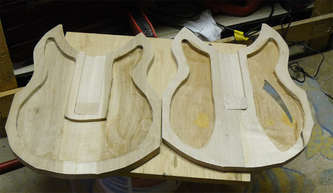 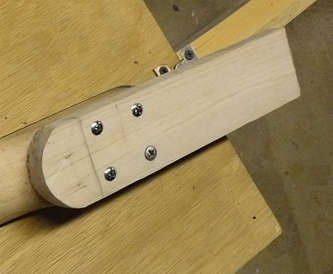 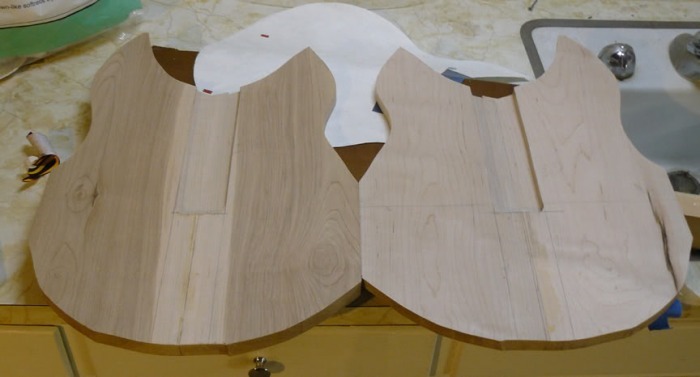 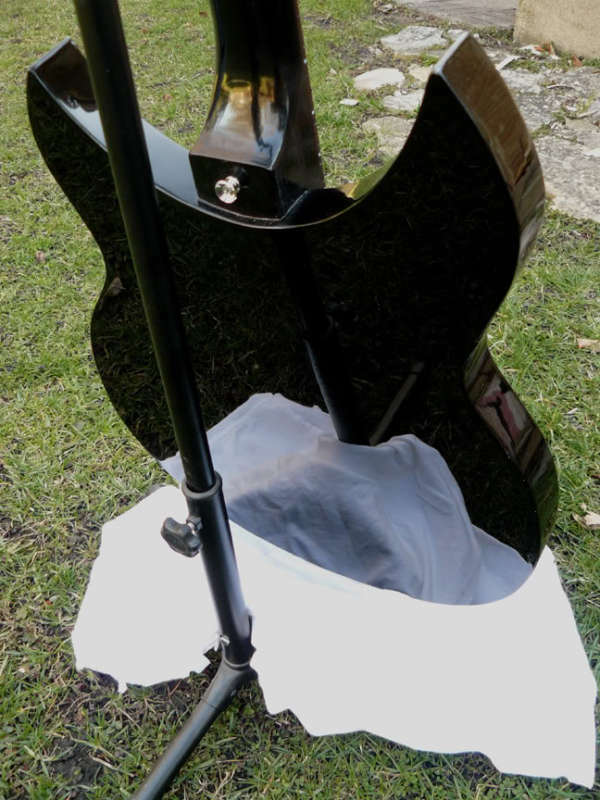 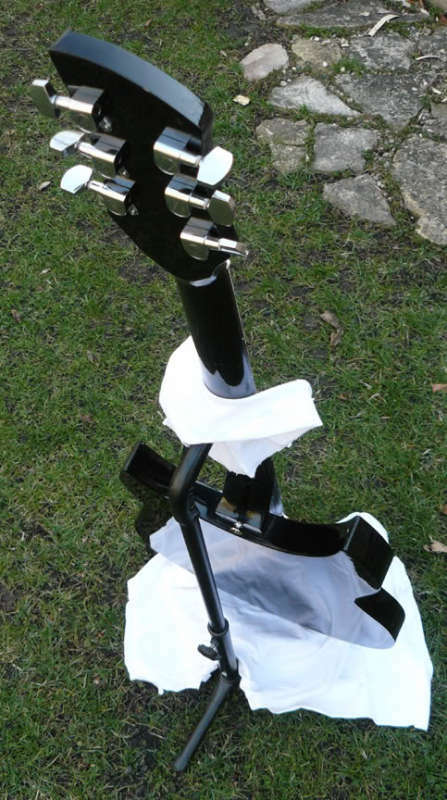 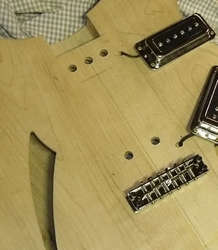 It is a maple construction with a bolt on neck that I modified for a set neck. The blender knob is a varitone switch.